“Because Tomorrow This Day Will Be A Blur To Them,” one of my favorite quotes and one of the reasons why I will never stop taking pictures of my children. On just my Iphone alone I have over 1000 images from this year of my kids that I’ve been meaning to sort through. That’s not including all of the images on my desktop and my hard drive, all of these had the intention to be put away for my “scrapbook”. You know the scrapbook that after two kids I still have yet to make, so my photos are just stored away while I continue to add to the never ending pile. 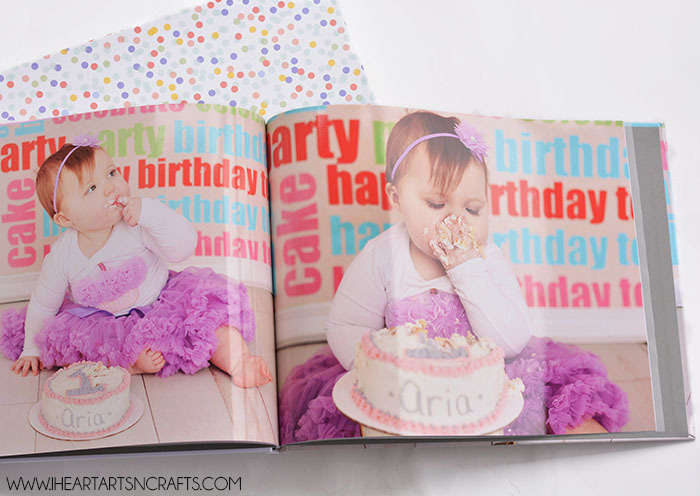 That was until I came across MyPublisher and had the opportunity to create one of these gorgeous photo books. My pile of photos are now all included in this photo book I designed for my daughter for her first year. This is the perfect way to remember all of those milestones and your favorite moments to share with your loved ones. 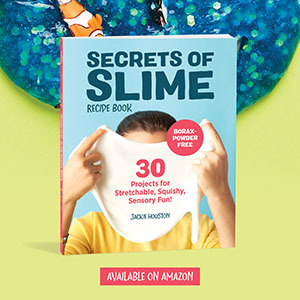 There are a ton of ways to personalize your book from different covers, 4 different sizes, patterned end sheets, window boxes, book jacket,etc. The program is very user friendly and walks you through each step of uploading your photos, selecting your layouts, and dragging and dropping the selected images. 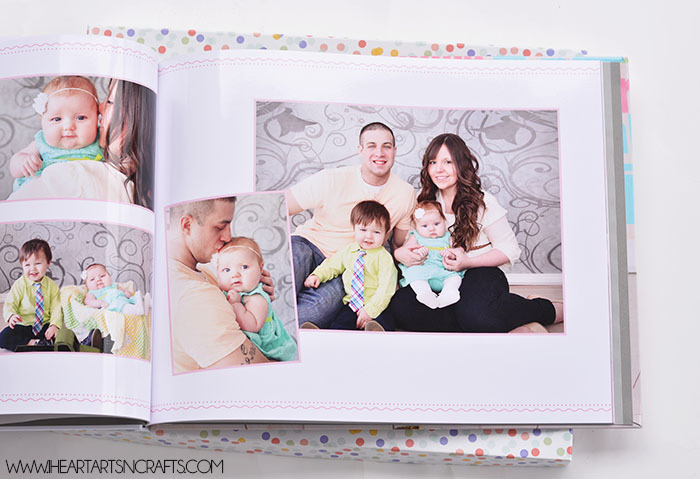 My favorite thing about MyPublisher is the amazing quality that you receive with these hand-made photo books. There are different slipcover options such as a genuine leather, photo finish, book jacket, and the linen cover. 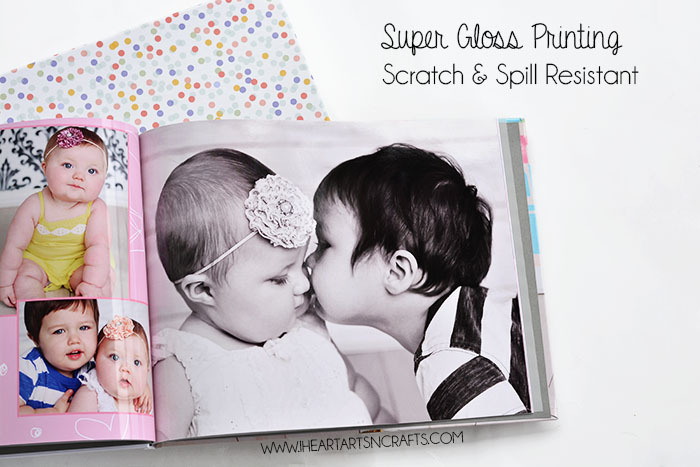 And for even more protection you can choose the super gloss printing option which gives you not only more vibrant photos but your pages will be scratch and spill resistant, which is perfect when these books are around those little hands! 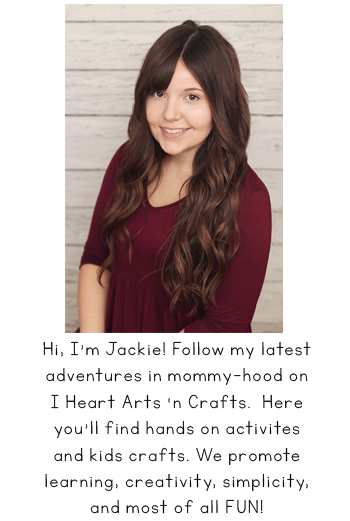 Your photo books are meant to to last a long time, and maybe even heirlooms for your children which I why recommend MyPublisher for your next photo book. Visit MyPublisher to receive this exclusive offer to I Heart Arts n Crafts readers: a code for a free photo book! 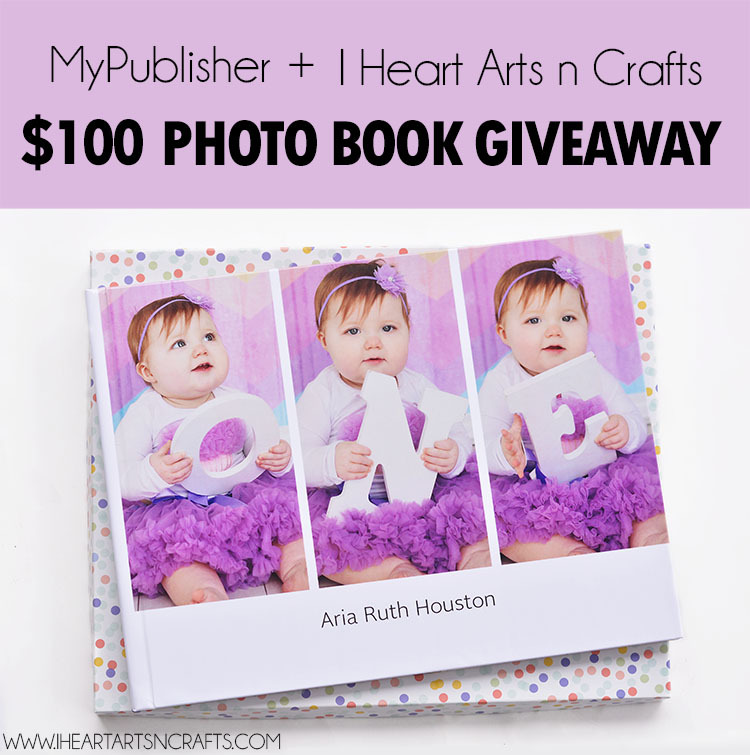 And one winner will receive $100 towards another MyPublisher photo book! 1. Sign up for MyPublisher’s newsletter here to receive your free photo book code. 2. Enter your email in the widget below to verify your entry, and then earn extra entries below for a chance to win a $100 MyPublisher photo book. I’d make a baby blog book, of course! My granddaughters first 2 years ! What a beautiful book you created. I’ve always been a fan of My Publisher. I just need to take the time to create a photo book one of these days. I love the quality of their products. I love this- I want to make one for my daughter’s first birthday!!! 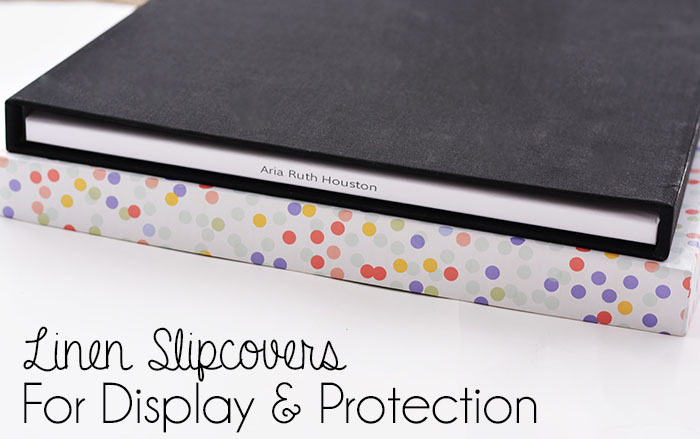 I love the slipcover- it’s so chic AND great for protection! Oh my gosh, her first bday pictures are TOO cute! I seem to have less and less time for scrapbooking, and photo books are the perfect alternative. Yours looks amazing! What a great keepsake to pass on through the generations. I would make a photo book full of old family photos. I love photo books and this looks like another great photo book find. I put family, family and more family in my photo books. I’ll be making a lovely book for all the children in our blended family! I think I would make a photo book about our last family vacation. Wow! What a beautiful photo book! I take thousands of pictures of my kids too! I’d make a wedding book! I’m about to become a grandpa, and I would use it with my new grandchild. These are s neat. I would love to make one of the kids for a year. I’m due in a couple weeks so I will make a newborn photo book!